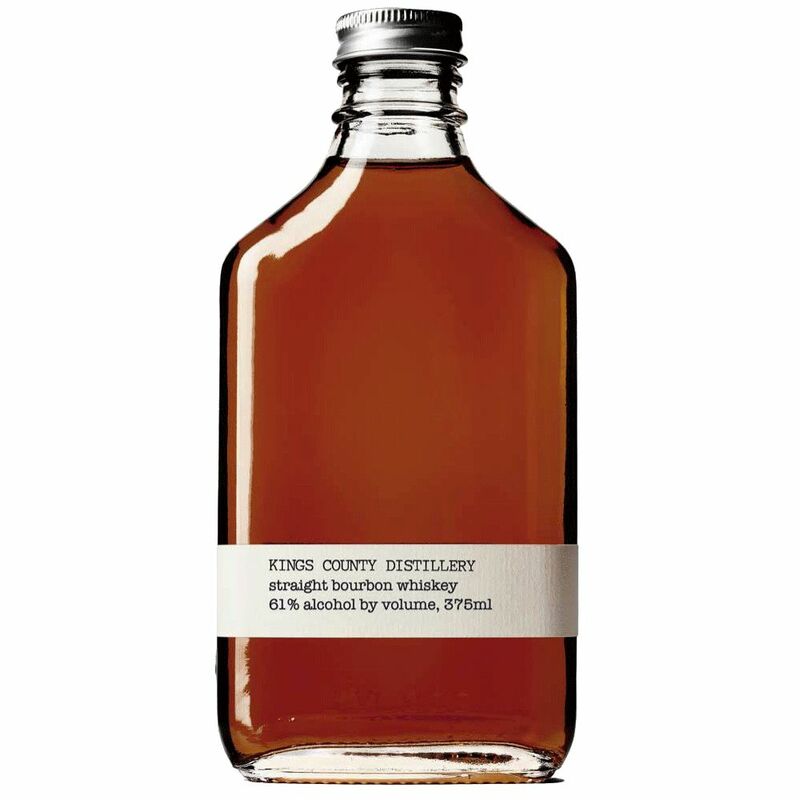 Spirits Kings County Distillery Barrel Strength Straight Bourbon 200ml - Royal Wine Merchants - Happy to Offer! Barrel Strength! Wine & Spirits Magazine named our barrel-strength straight bourbon as the year’s best. Bottled straight from the cask, our Barrel-Strength Bourbon is pulled from older barrels than our regular whiskey, aged at least two years and up four years old. This whiskey goes into the barrel at 116 proof and can sometimes inch up over time; every batch is different, but hovers around 116-120 proof. Smooth and bold, this is our most flavorful and intense whiskey. Recommended to be drank with ice or water at least after an initial taste, this is an advanced bourbon that is intended to be customizable to the drinker’s palate. (ranges from 57-60% abv).